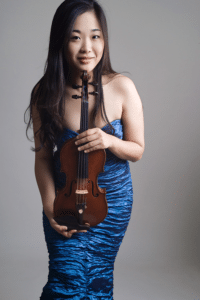 LiveConnections and Astral Artists present violinist Kristin Lee and special guests in an imaginative world chamber music collaboration. Kristin will perform world premieres by composers whom she commissioned to write new works for unusual pairings of violin with another instrument. The five award-winning composers—each also a well-established artist who will perform with Kristin—bring the distinct sounds, styles and backgrounds of their native countries to the pieces they’ve written. Kristin Lee, violin, has been praised by The Strad for her “rare stylistic aptness” and “mastery of tone and rare mood in a performer of any age.” A violinist of remarkable versatility and impeccable technique, Lee enjoys a vibrant career as a soloist, recitalist and chamber musician, and is equally noted for her growing reputation in collaborations with various genres of music. Upcoming engagements include debut recitals New York’s Merkin Concert Hall and Florida’s Kravis Center and debuts with the Guiyang Symphony Orchestra of China and the St. Paul Chamber Orchestra. A winner of Astral Artists’ 2010 National Auditions and a top prizewinner of the 2012 Walter W. Naumburg Competition, Lee has appeared as soloist with The Philadelphia Orchestra, St. Louis Symphony, New Jersey Symphony, Rochester Philharmonic, New Mexico Symphony, Albany Symphony, Ural Philharmonic of Russia, Korean Broadcasting Symphony of Korea, and many others. She has appeared on the world’s finest concert stages, including Carnegie Hall, Avery Fisher Hall, the Kennedy Center, Philadelphia’s Kimmel Center, the Metropolitan Museum, Steinway Hall’s Salon de Virtuosi, the Louvre Museum in Paris and Korea’s Kumho Art Gallery. She appears on The Roots’ most recent CD Undun, and appeared at the Brooklyn Academy of Music (BAM) in ?uestlove’s experimental project entitled Shuffle Culture, which evoked iPod’s “shuffle” mode in live performance and brought together musicians such as Deerhoof, D.D. Jackson, Rahzel, and DJ Jeremy Ellis. Ms. Lee has received many honors, including winning prizes in the 2011 Trio di Trieste Premio International Competition, SYLFF Fellowship, Dorothy DeLay Scholarship, Aspen Music Festival’s Violin Competition, New Jersey Young Artists’ Competition, the Salon de Virtuosi Scholarship Foundation and three concerto competitions at The Juilliard School. 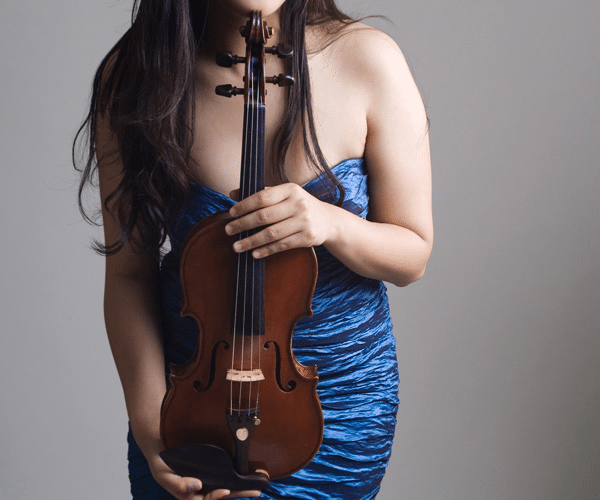 Born in Seoul, Kristin Lee began studying the violin at the age of 5, and within one year won first prize at the prestigious Korea Times Violin Competition. In 1995, she moved to the United States and continued her musical studies under Sonja Foster. Lee holds a Master’s degree from The Juilliard School, where she studied with Itzhak Perlman and Donald Weilerstein. She is a member of the faculty of the Aaron Copland School of Music at Queens College and has served on the faculties of the LG Chamber Music School in Seoul, Korea, El Sistema’s chamber music festival in Caracas, Venezuela, and the Music@Menlo Chamber Music Festival.